Riverwalk Fort Lauderdale’s 7th Annual Stone Crab & Seafood Festival, presented by Grille 401, will take place on Saturday, January 13, 2018, in the middle of the highly anticipated annual Florida Stone Crab Season. 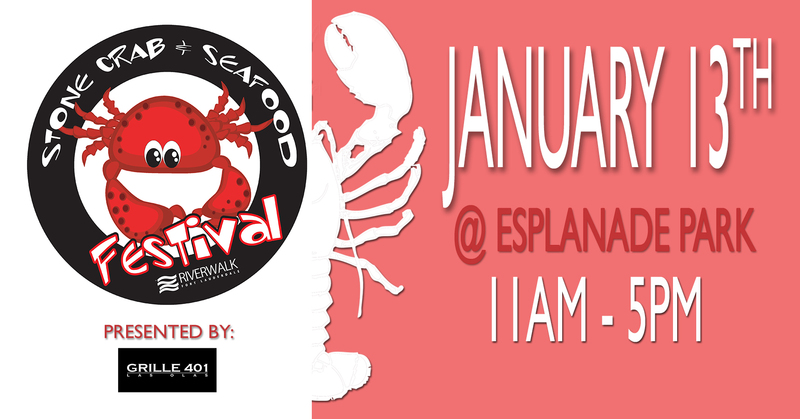 The event will take place at Esplanade Park, in the heart of Downtown Fort Lauderdale from 11 am to 5 pm. 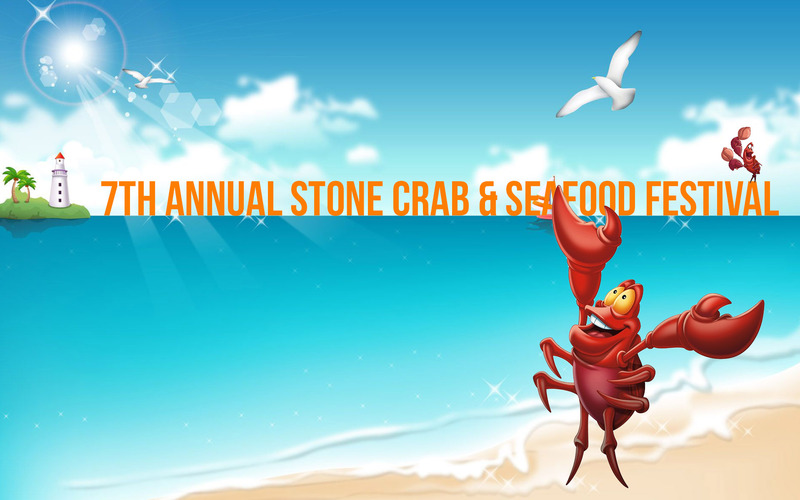 This festival is a freecelebration of the local South Florida Seafood Industry and highlights some of Fort Lauderdale’s favorite seafood restaurants as they serve up fresh stone crab claws and an array of select seafood dishes starting at only $5. Seafood lovers of all ages are welcome to come out rain or shine and enjoy a day of great food, cold drinks from Breakthru Beverage and Finlandia, music and more, including the crowd-favorite hermit crab races brought to you by Finster Murphy‘s and a beer garden from Stephens Distributing.